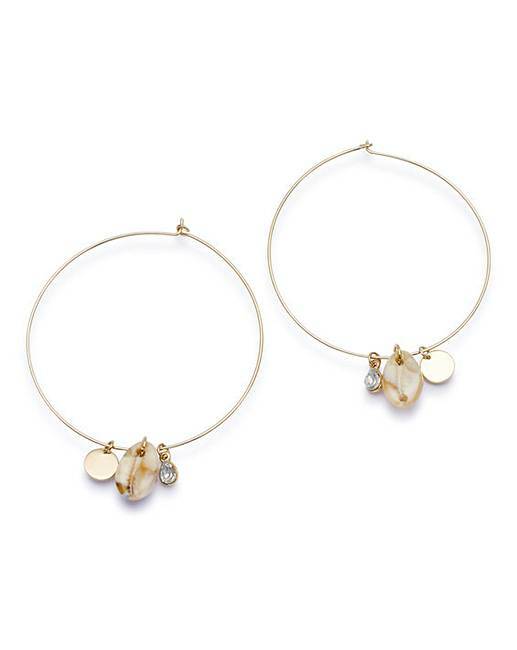 Update your hoop earring game with this fabulous pair. With cream coloured resin shells for an on trend twist, these will add a feminine pop to any outfit. 50% Zinc Alloy, 45% Iron, 5% Glass.